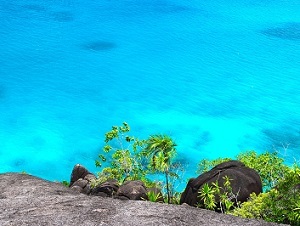 Praslin Island, Seychelles has some of the most beautiful beaches in the entire archipelago. 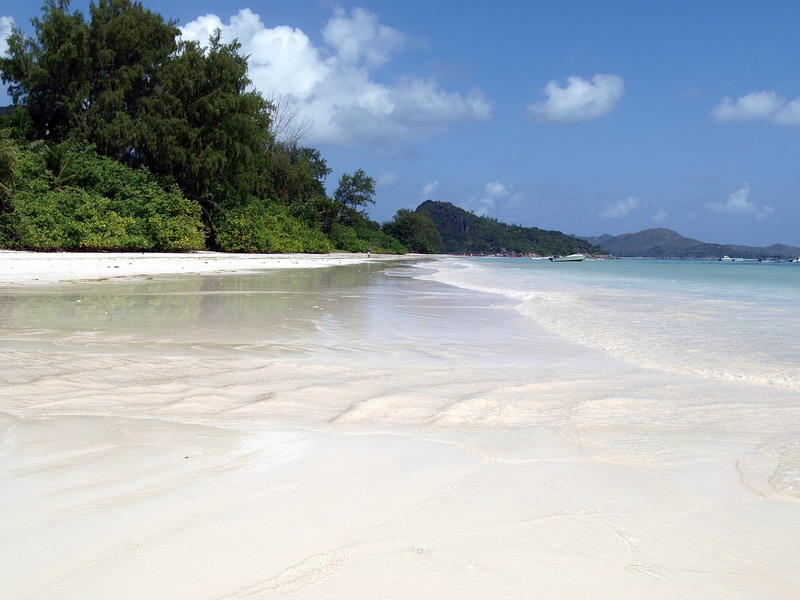 We've the 4 best beaches on Praslin for you and lots more "insider" tips on enjoying an island that truly is paradise. On our adventures we've traveled to five continents and countless islands. Never have we met friendlier people than those on Praslin. The first night on the island we were sitting on an isolated beach, watching the sunset, with a bottle of Takamaka Rum. A car with tinted windows and reggae music shaking it to its core pulled up. Out jumped a huge Rasta with a machete. "You need fresh coconut milk to mix with the rum - I'll get them. " Up the nearest coconut tree he climbed, chopped down three coconuts, opened and poured them into a jug he got from the car and said: "now I leave you to enjoy... welcome to the Seychelles." Crazy things like that always happen on Praslin. A friend of ours said she liked the earrings a girl was wearing on the bus - the girl insisted she give them to her. Wouldn't have it any other way. Once we were caught up in a political rally. Instead of the tension and violence you often get elsewhere everyone had the same thing to say: "Welcome to the Seychelles and thank you for coming." On Praslin everyone is happy and relaxed. It's infectious too. Give it a few days and you'll start feeling so relaxed you'll never want to leave. A lot of people always think Seychelles = expensive. On Praslin you can spend a fortune at one of the beautiful resorts like the golf course and beach resort of Constance Lemuria or you can find a perfectly wonderful self-catering option like the Residence Praslinoise. In fact, if you do stay at the Residence Praslinoise, you have the option of the cleaning lady cooking you dinner and her dinner is better than any fancy meal at a five star resort. More under the "Where to Eat" section further down the page. 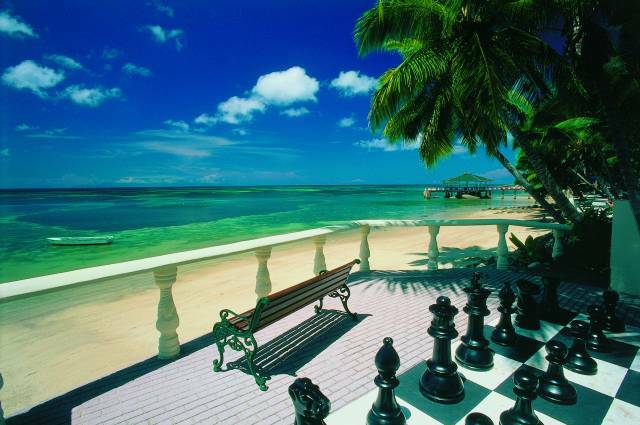 Another great option is a more affordable resort like the Coco de Mer and Black Parrot Suites. 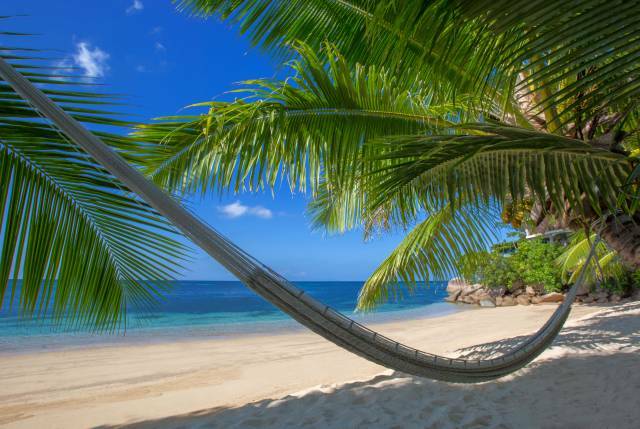 Snorkeling and swimming in the Seychelles doesn't get better than on Anse Lazio. 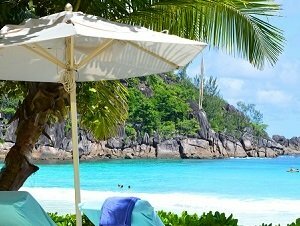 One of the best beaches in the entire Seychelles; it scored 85/90 with our beach rating system, one of the highest scores ever. Here is why. It was very difficult to decide whether Anse Georgette or Anse Lazio should be in number one spot. In the end Anse Lazio made it because of the better snorkeling and swimming. When it comes to sunsets though Anse Lazio doesn't come close. It's in a private resort so getting to the beach can be tricky - our guide explains all you need to know. 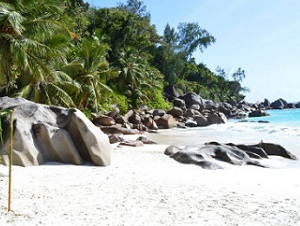 Cote d'Or is a long and beautiful stretch of sand on the "resort" coast of Praslin. Actually the coast is hardly the resort coast most Europeans or Americans would associate with a "resort coast". It's more the sleepy, laid-back type of coast you find everywhere on Praslin Island and the beach is never crowded. For families it is number one. 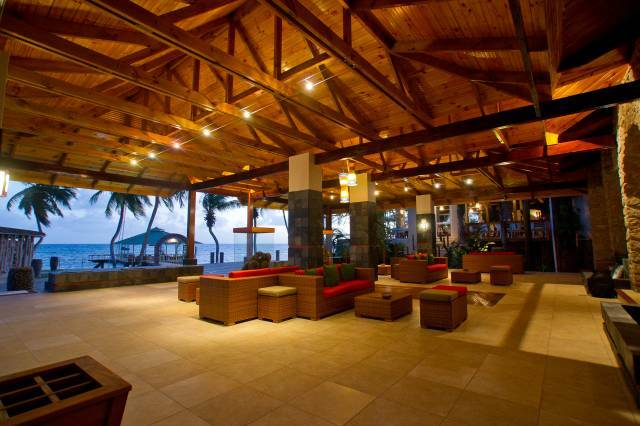 Both beaches are located right in front of and adjacent to the Coco de Mer and Black Parrot Suites Hotel. They don't belong to the hotel so you are welcome visit - if you can reach them. 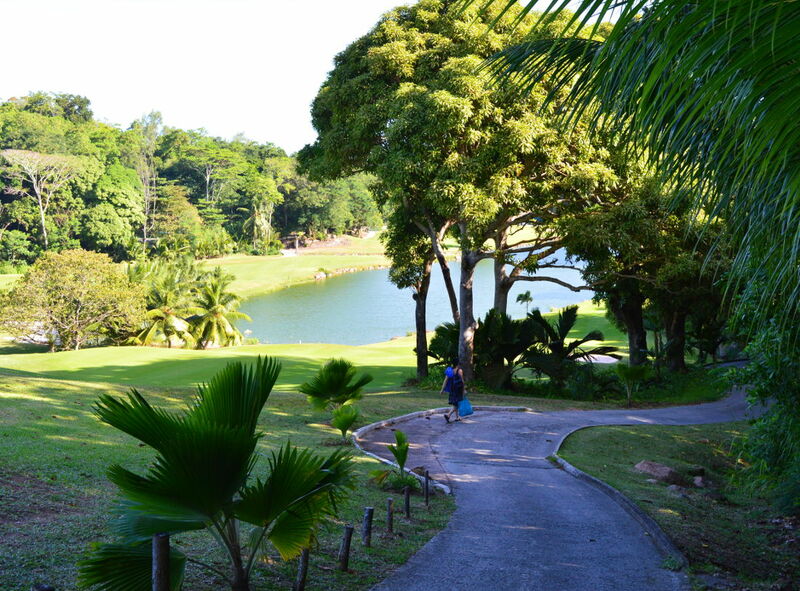 To get to Anse Cimitiere you'll need to go through the hotel's grounds while Bois de Rose can be reached from the road. These beaches are great at certain times of the year, not so great at others. Click for the reason why and for more about the beaches. A UNESCO site, the Vallée de Mai Nature Reserve is stunningly beautiful but I'll let you into a secret that only locals know about. 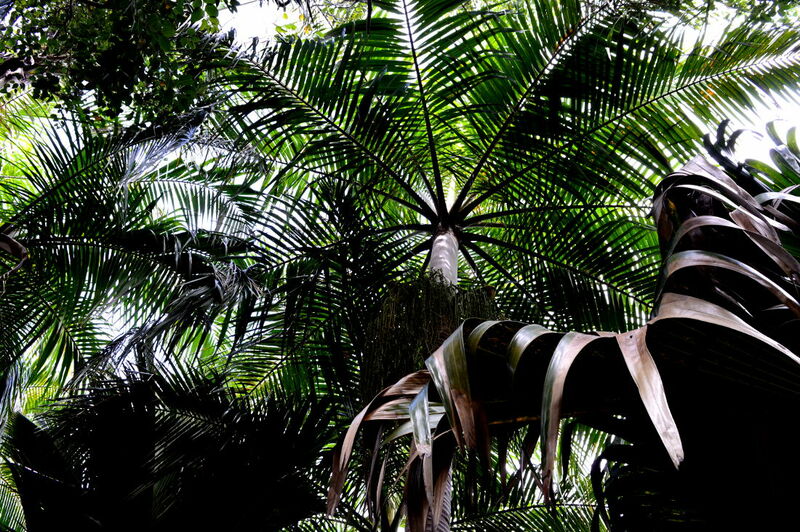 There's a much better reserve that has the same coco-de-mer trees and is far more beautiful. It also costs a third of the price to get in and the price includes an expert guide. Here's more on one of Praslin's best kept secrets. Car rental is a good idea but, if you don't want to drive, then the buses go everywhere, cost next to nothing, and come by every 30 minutes or so. Should you be lucky enough to self-cater at the Residence Praslinoise then you can always ask Marie, the cleaning lady, to cook you dinner. What a feast her Creole dinners are! They cost 20 Euros a head (children free) but you eat for two day. Last time she cooked for us, Marie and her grandchildren arrived bearing ten huge plates of food. Every dish is a celebration of Creole food and it is all made from the freshest local ingredients. Takeaways are another good option. You won't find KFC or McDonalds on Praslin Island or anywhere else in the Seychelles - thank goodness. These takeaways are strictly local Creole dishes and cost around 60 Rupees a head. 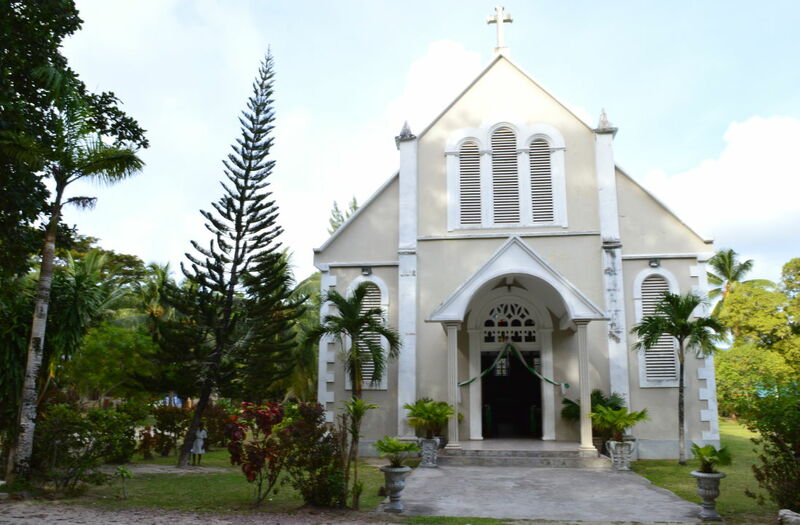 You'll find them along the main road on all parts of the island - there's a good one around 500 metres south of the St. Joseph's Catholic Church. Restaurants are expensive - most are connected to the resorts. 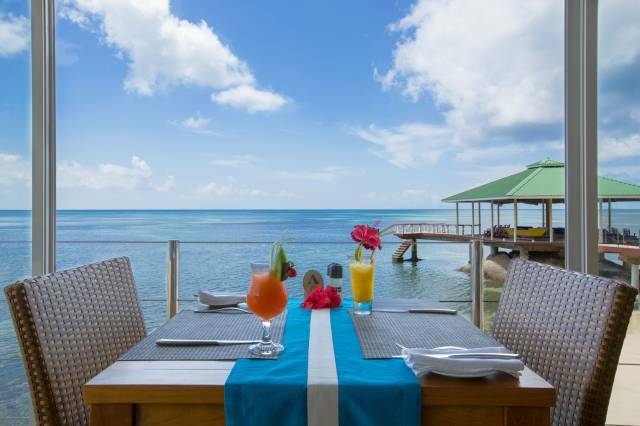 A few good options are the Pirogue Restaurant on the east coast of the island or the Restaurant Paradisier, which is near the airport on the west coast. Of the two I prefer the Restaurant Paradisier. 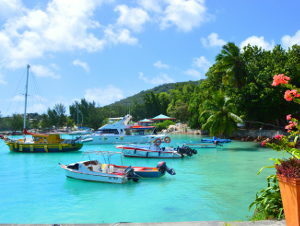 Praslin Island is like all the other islands in the Seychelles chain - always warm. 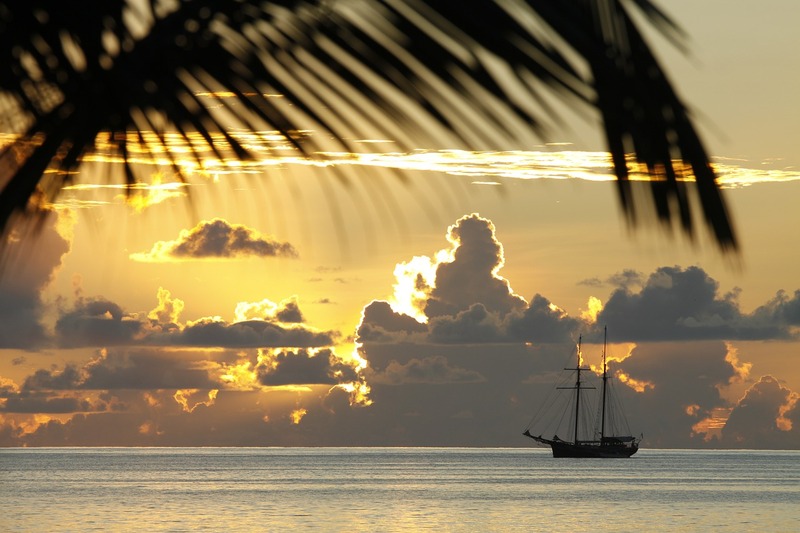 There are a few things to know about the Seychelles weather though, depending on what your main interests are. Here are the essential facts. You can come over from Mahe by ferry or, if you're travelling to a resort, you'll probably transfer flights in Mahe and take a short 15 minute flight over. I've caught the ferry on countless occasions and it is great. Often you'll see flying fish racing along next to the boat and the view of the sparkling sea, with islands dotted across its surface, is a memory you'll treasure. If you suffer from motion sickness take something before you board.